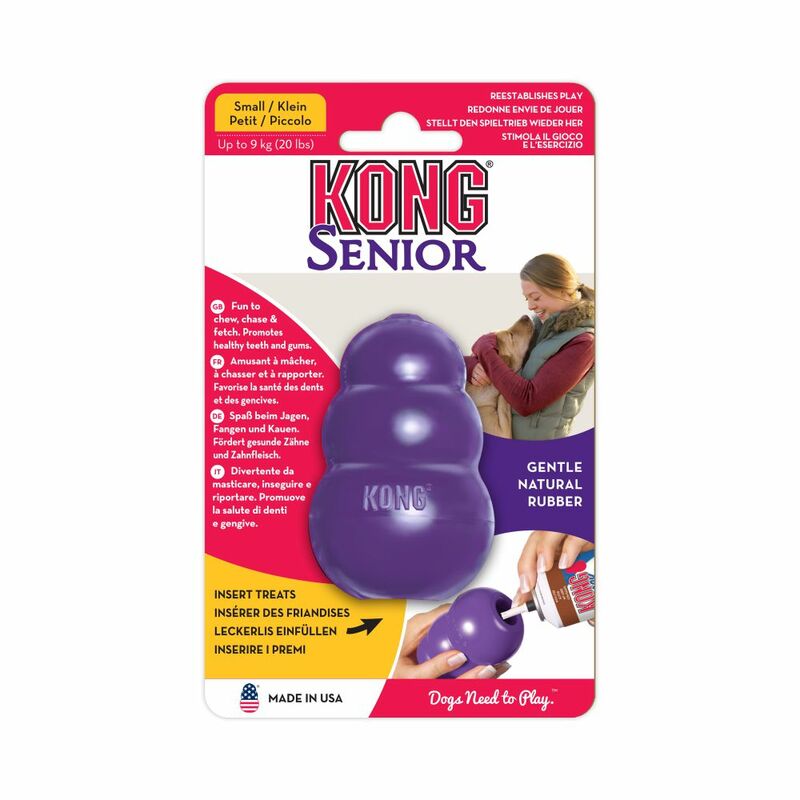 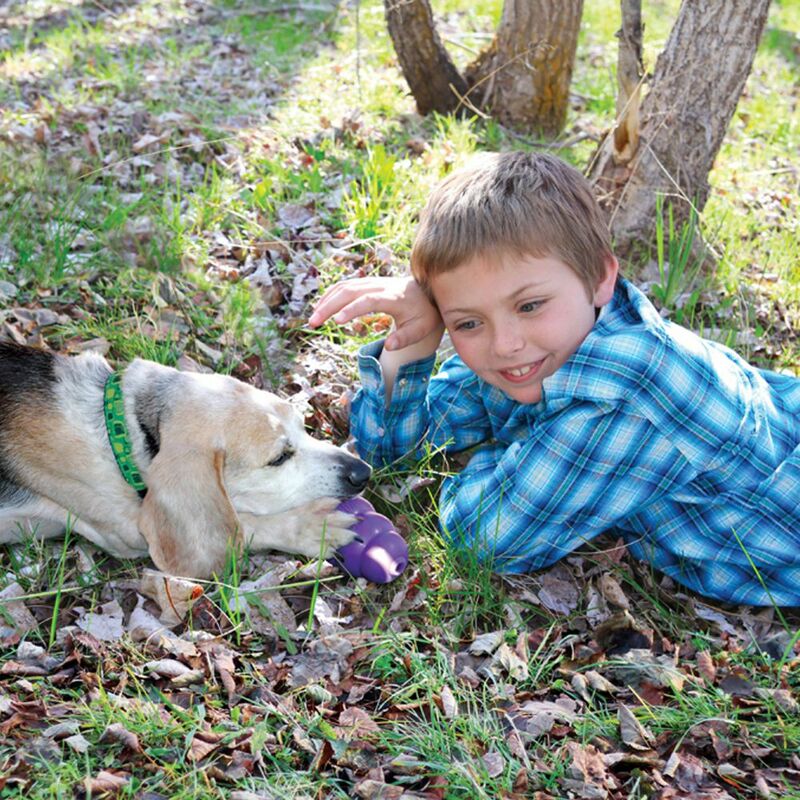 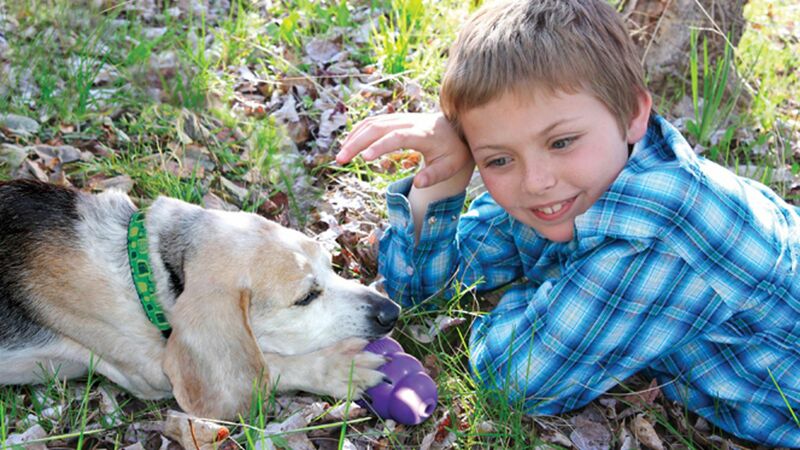 The KONG Senior dog toy is customized for an aging dog’s chewing and play needs. 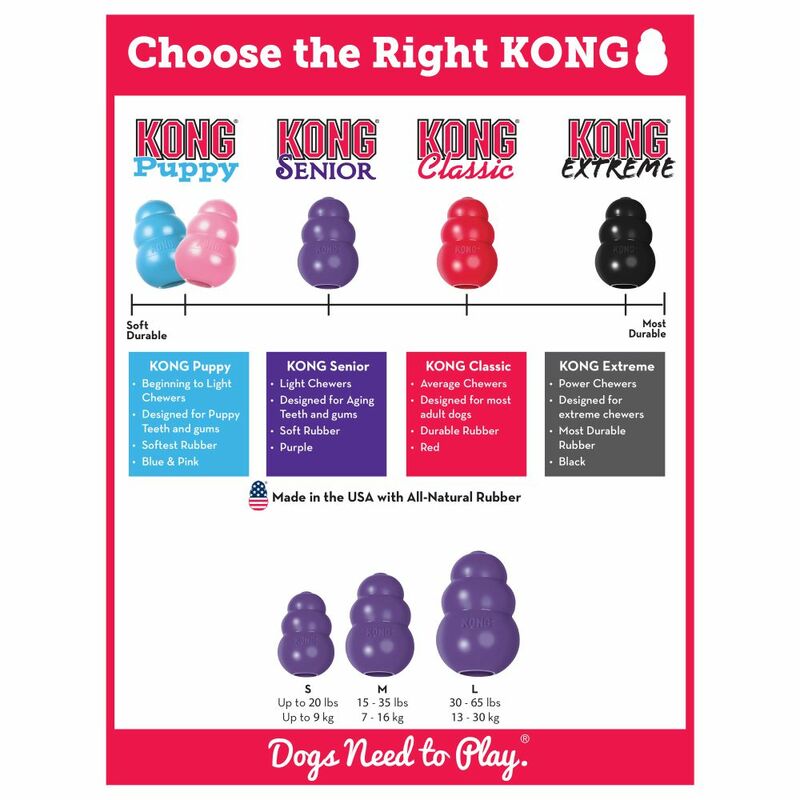 The unique, natural KONG Senior rubber formula is designed for teeth and gums that have enjoyed chewing for years. 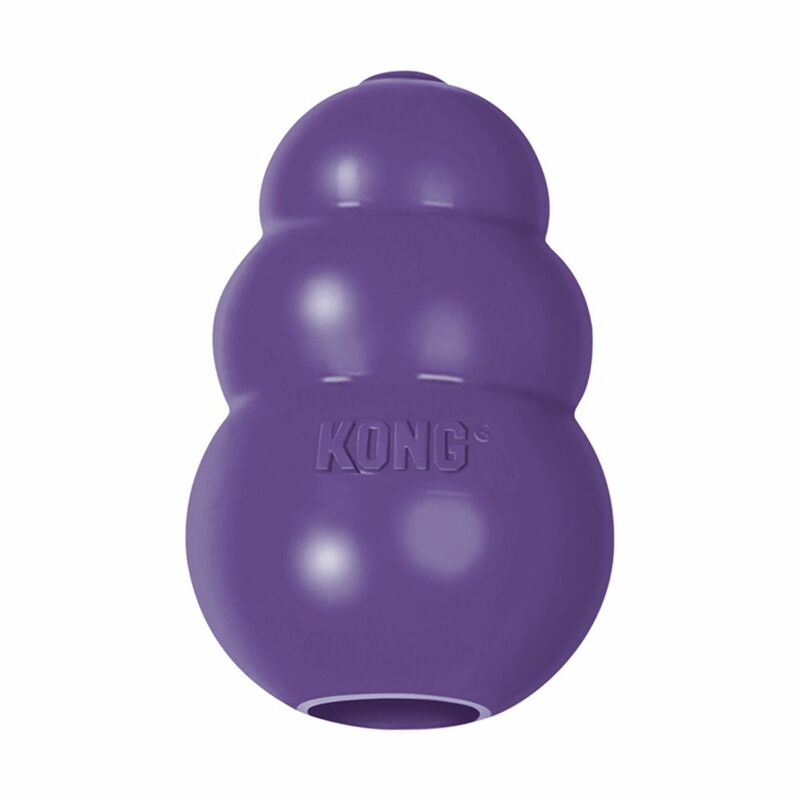 Designed to provide a gentle and comfortable chewing outlet while offering enrichment and satisfying an older dog’s instinctual need to play. 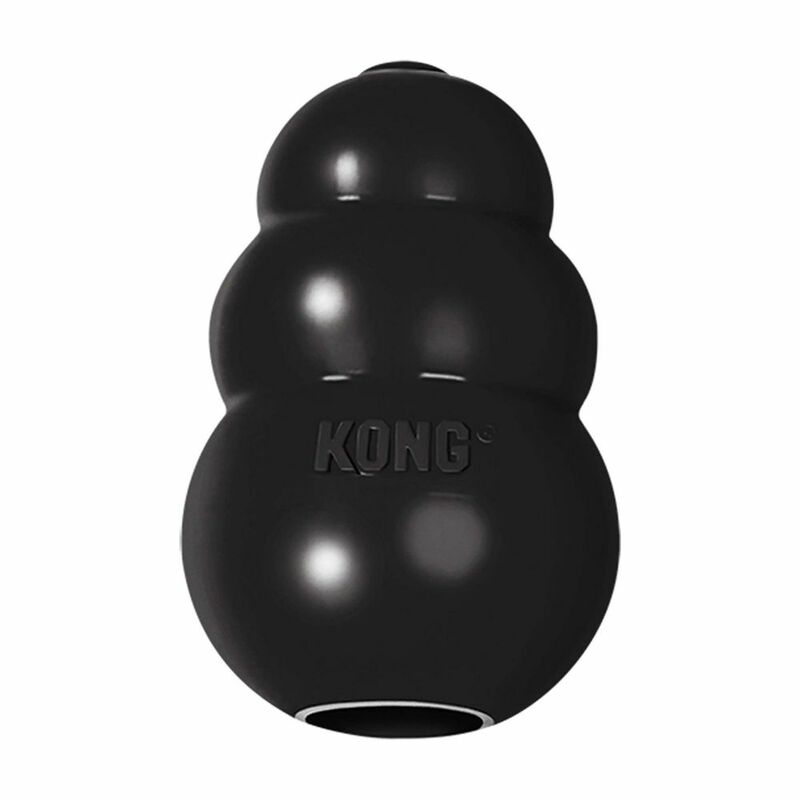 An erratic bounce make it perfect for dogs that are still playing as they reach their more dignified years. 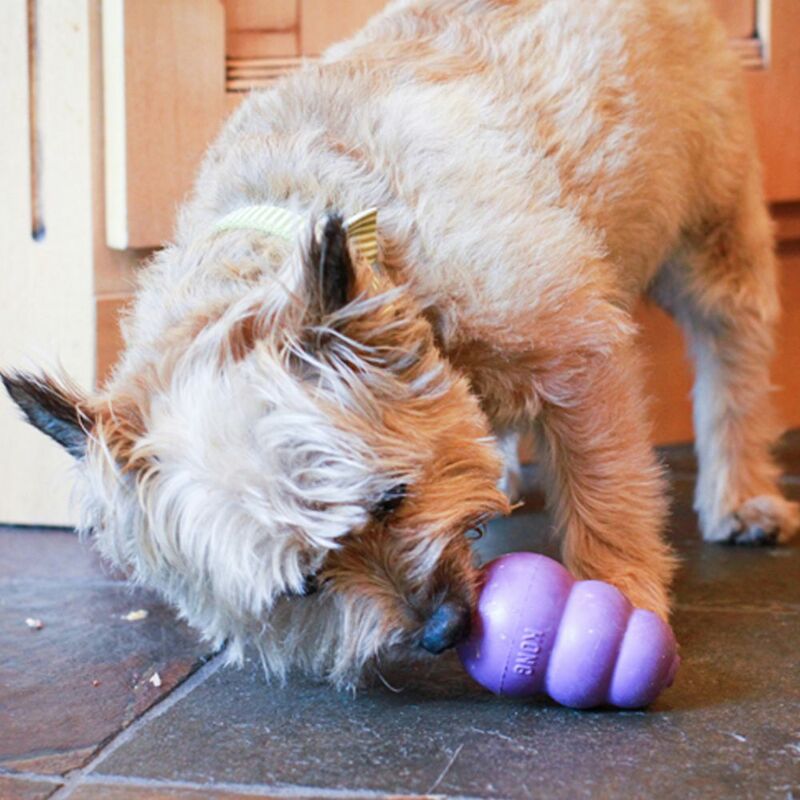 To extend play time be sure to stuff with kibble and a dash of peanut butter. 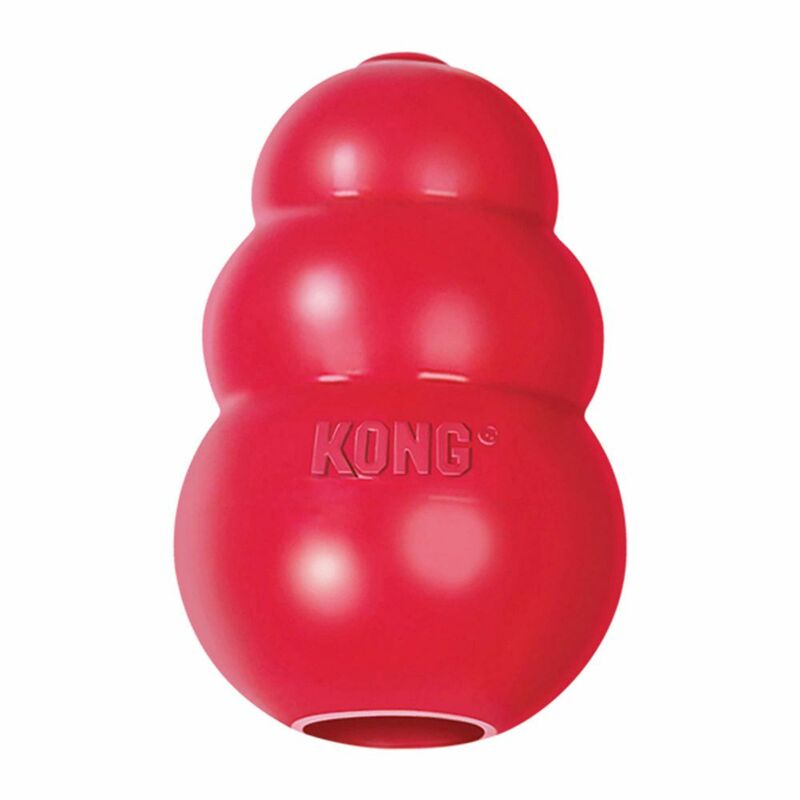 Add to the fun by stuffing with KONG Snacks and top with KONG Easy Treat. 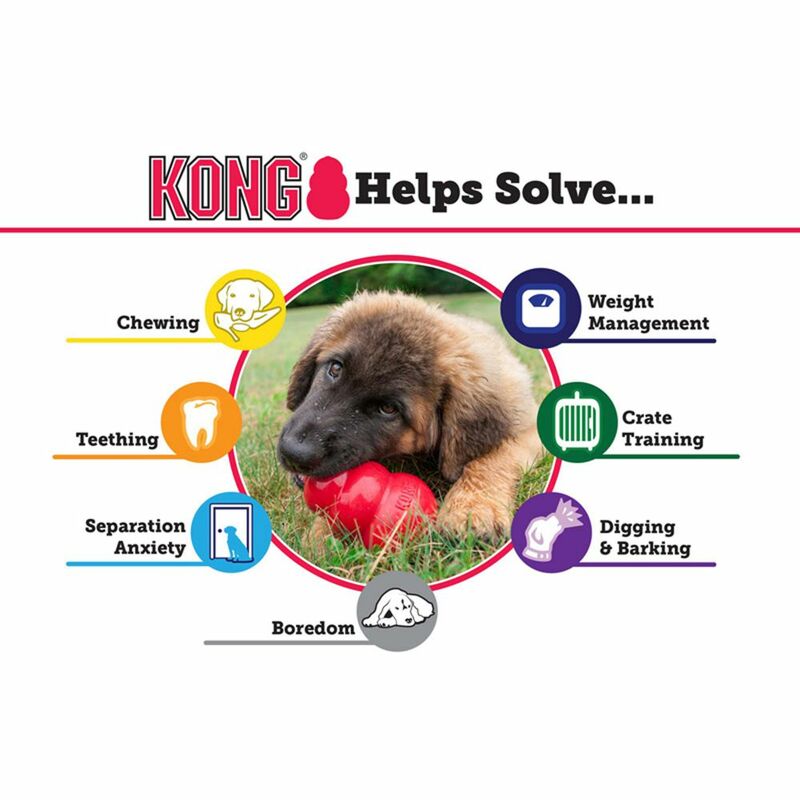 Your wise pup still looking for a mental challenge? 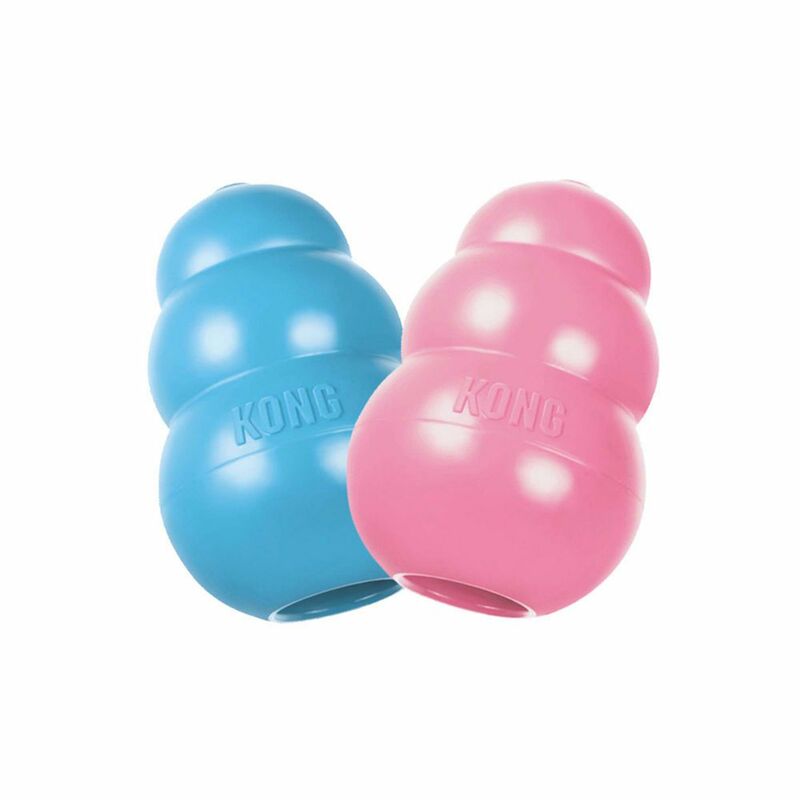 Be sure to freeze for a longer-lasting treat.